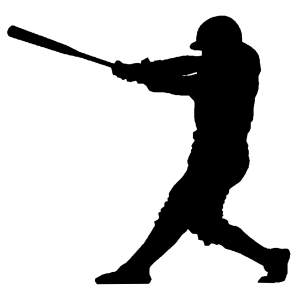 Home Articles Should Baseball Players Olympic Lift? Are the Olympic Lifts the BEST exercises to implement with baseball players? Are there safer/better options to develop power other than the olympic lifts? Do olympic lifting exercises provide the best results conducive to your sport (baseball) in the shortest amount of time? These are all questions that need to be addressed when deciding whether or not to include the olympic lifts in your training program. Transfer of Training – Let’s start with the first question: “Are olympic lifts the best exercises to implement with baseball players to improve power?” My answer is no. The research (Click here to see the study done by Graeme Lehman) shows developing power is very plane specific. This study proves more baseball specific power is developed when we spend time training in the plane which is required by our sport. You can develop more baseball specific power by developing rotational power, (EX: Medicine Ball Rotational Throws) and performing plyo’s in the frontal and transverse planes (EX: Heiden “Skater” Jumps). These exercises will provide a much better carry over from a power training standpoint. 2. Safety – Baseball’s a sport where we all have to throw at some point. This means we must take certain precautions with our elbows and shoulders. If I’m training an athlete that’s more prone to laxity, or has had previous injury in his shoulder or elbow, then snatching and cleaning is the last thing I want them to do. Below you will see an example of a pitcher who has an acquired valgus carry angle. This adaptation is due to extreme valgus stress in the lay-back portion of throwing. 3. Training Economy – Many people forget olympic lifting is a sport. Olympic lifters train their entire lives to perfect technique on the olympic lifts. Learning these highly skilled, technical lifts takes considerable time from our training session when we could be performing other exercises that provide a greater benefit to improving our game in a shorter amount of time. Like I previously stated, I think olympic lifts are great ways to develop power. However, for baseball players, I feel there are much better options we can chose that provide better carry over to our sport.